The Chattanooga Chamber of Commerce champions about 2,000 member businesses. As the leading economic development organization for Chattanooga and the surrounding region, the Chamber promotes economic growth by recruiting new businesses and supporting retention and expansion of existing companies. As part of its efforts to champion member businesses and promote economic growth, Chamber programs also support workforce development, diversity and inclusion strategies, entrepreneurship, leadership training, and more. Founded in 1887, the Chattanooga Chamber was one of the first 40 chambers founded in the United States. Business and community leaders founded the Chattanooga Chamber Foundation in 1969 to lead area economic, community, and leadership development through a public-private partnership called Chattanooga CAN DO. Businesses in the Chattanooga region enjoy the world’s fastest internet speeds, low employment costs, business-friendly taxes, low-cost utilities, a deep pool of talent, and a central location with ready-to-use infrastructure for road, rail, barge and air shipping. 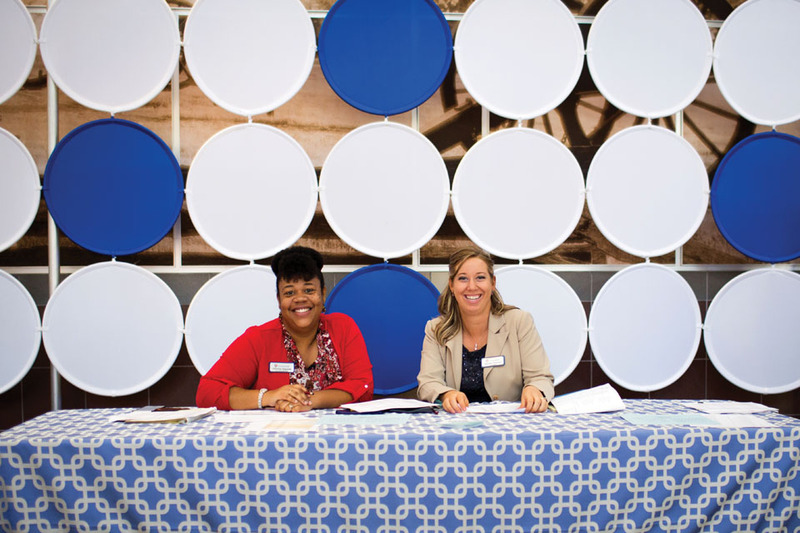 As part of GCEP, Chattanooga Chamber staff provides support for companies in site selection, workforce needs, and incentive packages. With generous support from investors, the Chattanooga Chamber has successfully supported numerous small businesses and entrepreneurs – as well as global companies like Volkswagen, Amazon, and Google. 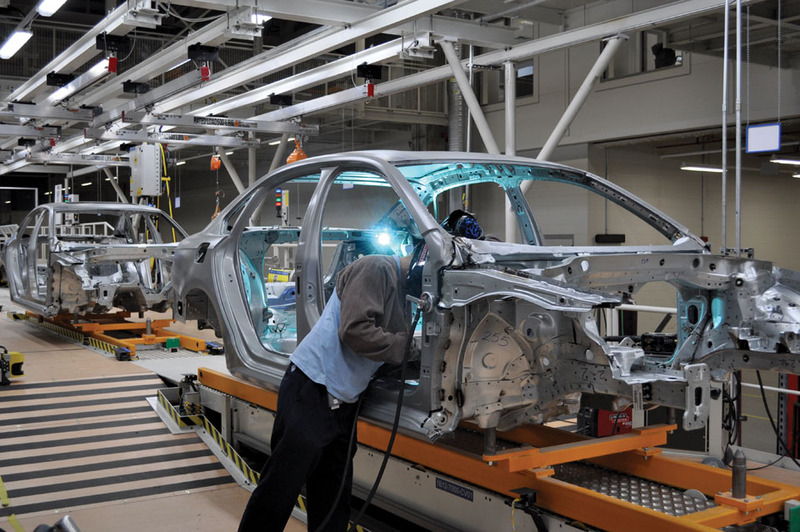 The Volkswagen project was a $1 billion automotive assembly plant that the company located to the area in 2008, where it manufactures the VW Passat and, more recently, the VW Atlas SUV after an additional $900 million investment. Volkswagen’s presence in the Chattanooga area has drawn other auto suppliers to locate to the region. The Chamber’s efforts are also instrumental in maintaining a strong base of homegrown companies including Unum, Maples Industries, BlueCross BlueShield of Tennessee, McKee Foods, CBL Properties, Shaw Industries, and Lodge Manufacturing. Typically, the Chamber’s existing business base is the source of nearly 80 percent of new jobs in the community each year. Since 2011, Chattanooga and Hamilton County have celebrated 45 business expansions resulting in 8,349 new jobs and more than $1 billion in capital investment. The Chattanooga Chamber manages the third-largest business incubator in the country, with funding from Hamilton County. Located in a former manufacturing plant, the INCubator houses about 50 companies. The programs help entrepreneurs succeed through a three-year, progressive development program, providing clients with shared administrative services, manufacturing and office space, training workshops, use of a state-of-the-art Technology Conference Center, and access to free onsite business counseling from the Tennessee Small Business Development Center. The Chattanooga Chamber delivered outstanding value to member businesses through public policy advocacy, networking, business-oriented seminars, and discount programs. With more than 200 networking events each year, members connect with potential customers, city officials, and the broader community. These networking opportunities range from AM Networking or Business After Hours at a member business attended by approximately 100 people to the Chamber’s annual EXPO Chattanooga with more than 2,500 attendees. At these events, members develop sales leads, create business opportunities, receive referrals, and form relationships with Chattanooga area business leaders. Workforce development remains a top priority for the Chattanooga Chamber as well as stakeholders throughout Chattanooga, Hamilton County, and the 16-county region. The Chamber’s diverse education and workforce development programs engage employers, employees, educational institutions, and jobseekers to address the region’s workforce needs. Programs range from curricular and co-curricular initiatives within schools and partnerships with schools to skills workshops, job fairs, and seminars. The Chattanooga Chamber offers programs in all 18 Hamilton County Department of Education high schools, reaching 15,000 students every school year. More than 1,000 community volunteers give their time to these programs -representing an economic impact estimated at more than $1 million in volunteer hours. 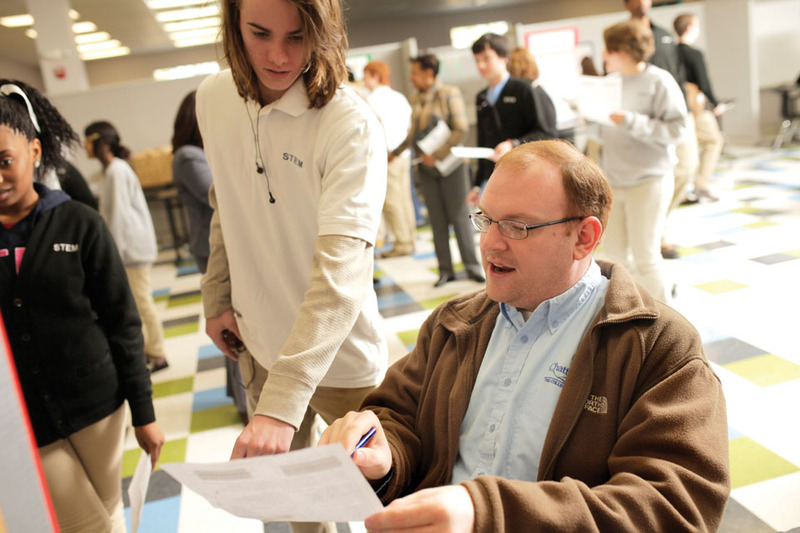 These programs include a two-day career fair for eighth graders, a college and career fair for 11th and 12th graders, money management and budgeting programs, and more. In addition to its traditional education and workforce programming, the Chamber is also heavily involved with Chattanooga 2.0, a community-led movement to write the next chapter in the area’s future by transforming education and workforce opportunities in Hamilton County.